Of course, this made it quite challenging and tough for us since we were trying to elaborate the main criteria of a high-quality yoga mat. But how to pursue when you have so many different opinions and criteria? We wanted to integrate all these opinions and let people share their ideas with us. 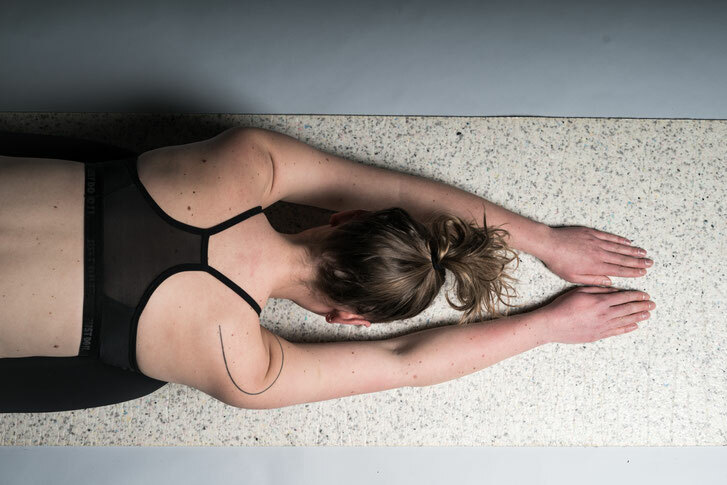 So we used customer co-creation to get feedback on our prototypes and to let people and users of our product design and develop our product further with the goal of creating our sustainable and high-quality yoga mat. We got a great scholarship by “Bayern Kreativ” which enabled us to present our current prototypes at the JOSEPHS. People can take a break there during their shopping trip in the city and visit an innovative exhibition of products. 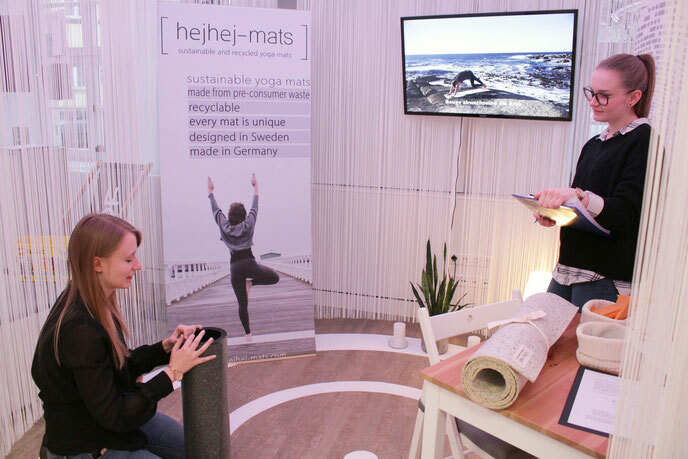 Our hejhej-mats yoga mats are one product which you can test there. You can decide whether you only want to give a really brief evaluation or you can really test our product and give detailed feedback. A short video clip shows you some yoga poses and you can follow our instruction - on our hejhej-mats. Basically, this is market research but not the familiar online market research with filling out questionnaires but a more innovative and new kind of live market research. We really love the idea of designing and developing a product together with the future users and we believe that customer co-creation helps us in making the best high-quality yoga mat on the market We already got some really interesting feedback regarding characteristics of our mats. We can integrate this information directly into our developing process and directly produce new prototypes fulfilling the required demand of our customers. You can still check out our prototypes and high-quality yoga mats in the JOSEPHS in Nürnberg until the end of February. So feel free to drop by, help us design the best high-quality yoga mat on the market and be part of our sustainable developing process.